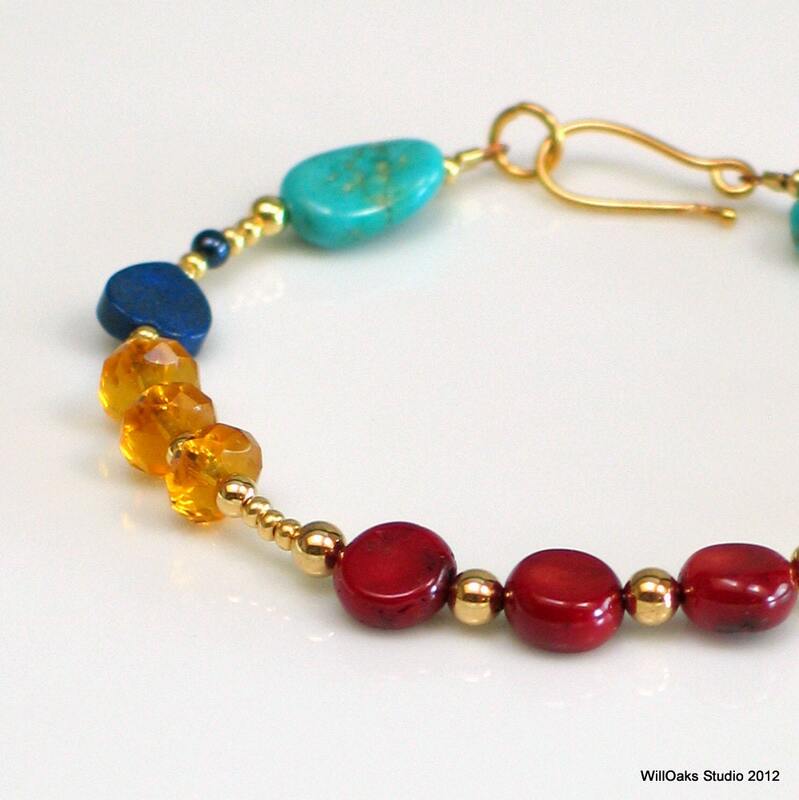 Celebrate your inner child with bright primary colors sparked with gold and accented with turquoise nuggets. Bright jewelry is perfect for a pop of color, dressed up or dressed casually, to cross seasons and to celebrate fun in fashion. With a little lapis lazuli blue Heart, suitable for Valentines & love, too. 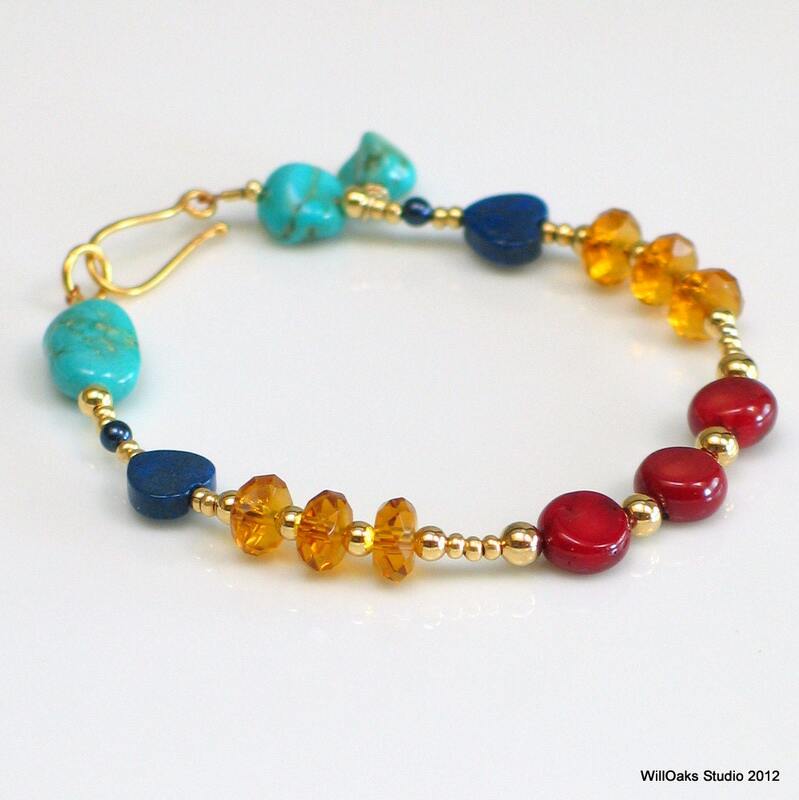 Choice materials selected for a cheerful bracelet feature organic disc shapes of ruby red coral, faceted amber yellow Czech crystals, Lapis Lazuli blue hearts and sky blue turquoise nuggets all brought together with gold plated beads. Light hearted and flirty, this playful piece closes with a gold vermeil (gold plated over silver) hook and eye. 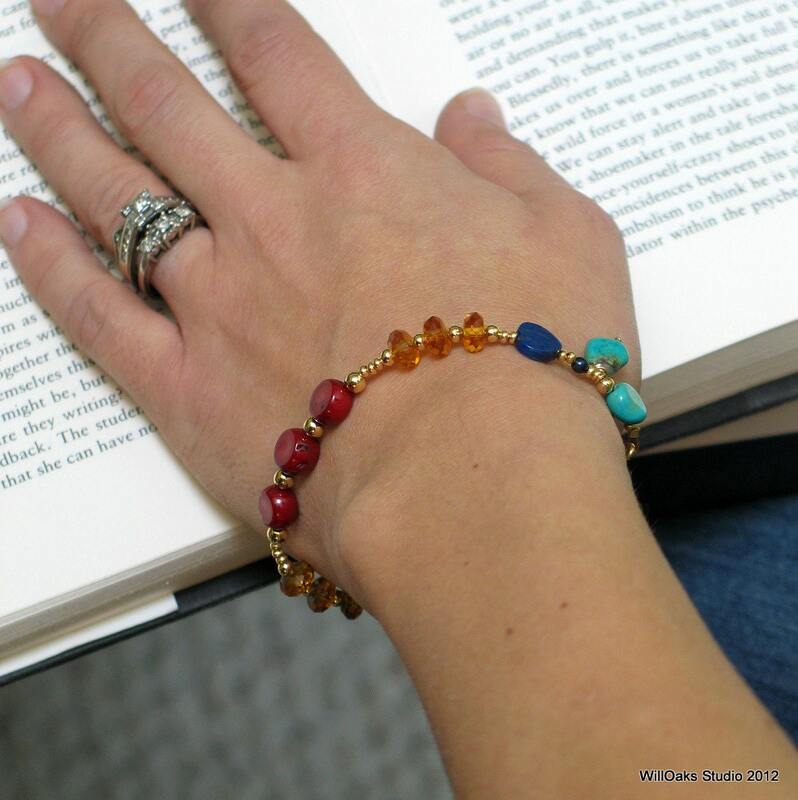 inspired me to search for a way to interpret this theme in a bracelet. For the bracelet, the rubies were replaced with some ruby red coral nuggets cut into disc shapes, used here as the center of the bracelet. 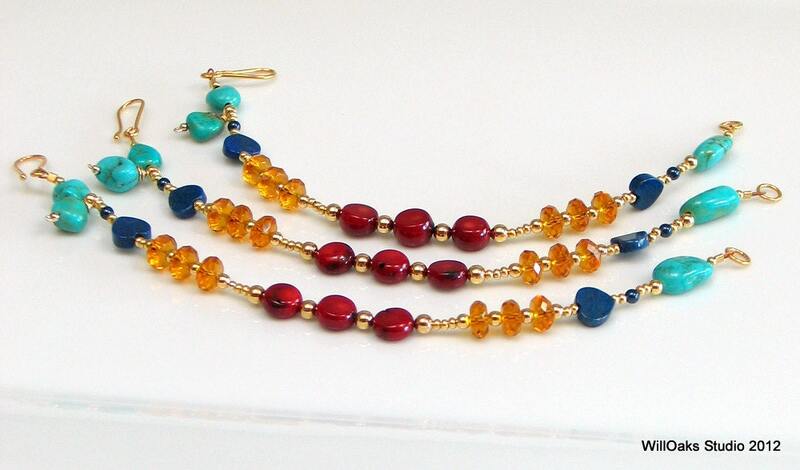 And warm gold pulls all the primary colors together. 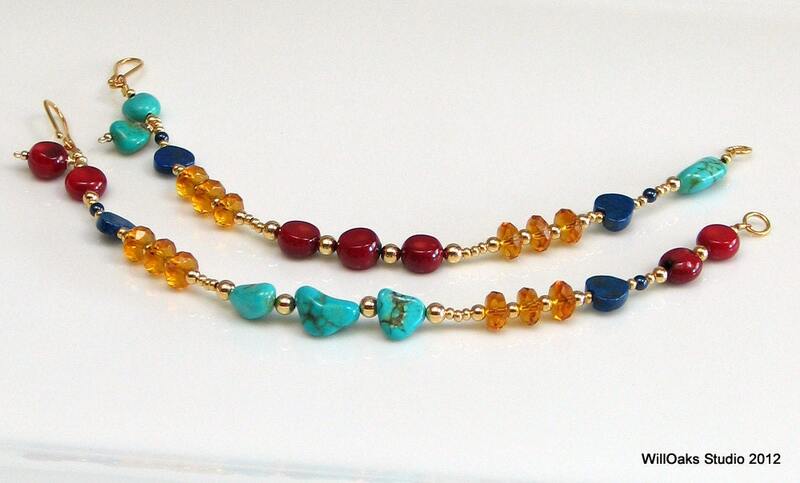 Since the coral discs and turquoise nuggets are organic and variable, I've included a photo of 3 examples to show the inherent differences that will show up in this design, which has been created as a small edition. The bracelet measures about 7 3/4" laid flat and will easily fit wrists up to 7" Presented in my signature packaging, all ready for giving. Received my bracelet and it's just what I wanted. The ctaftmenship is excellent, the shipping was timely and I will order more!